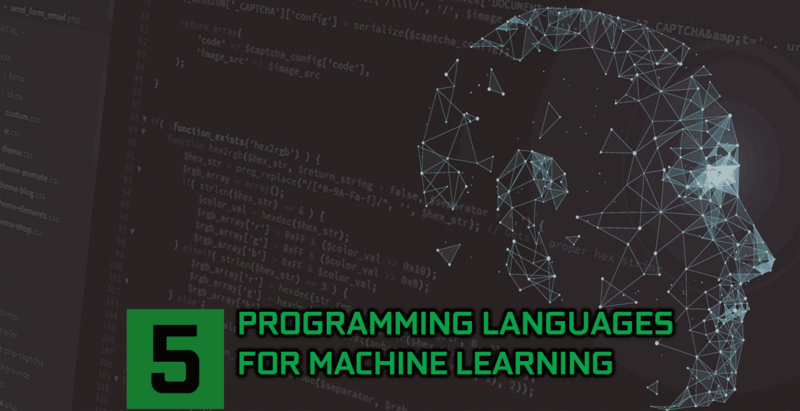 The increasing demand for experts in machine learning during last few years has increased curiosity to know the programming languages which one can use in machine learning. But before discussing the best programming languages for machine learning you must have brief information about the concept of machine learning. In the field of computer science, machine learning is a part of artificial intelligence that provides your computer an ability to learn to improve its performance with data, without being programmed exclusively. In today’s technical world machine learning is one of the fastest progressing concepts on which most of the tech giant companies are heavily investing to improve their merchandise. In 1959, Arthur Samuel used the words machine learning for the first time to explore the construction of algorithms that can be used to predict on data by overcoming static programming instructions strictly to make predictions and decisions on the basis of data. 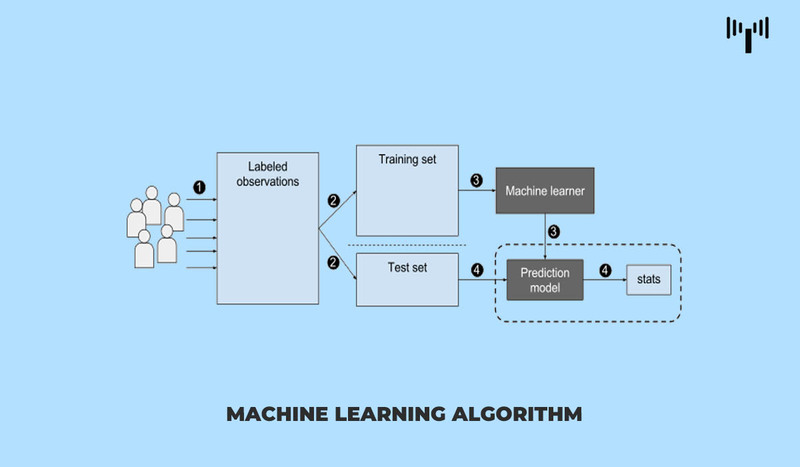 Machine learning is used today in a number of computing works where the use of explicit programming and designing algorithms is not feasible like detection of a data breach by malicious insiders or network intruders etc. In order to understand and work on machine learning, you will have to learn few programming languages. Some of the best programming languages used for machine learning are briefly discussed hereunder for your guidance. Python has become a popular programming langue because it can be used flexibly for various purposes. For machine learning, it contains specific libraries like numpy and scipy which enable your computer to learn linear algebra and kernel methods for machine learning. While working on algorithms of machine learning then this language is greatly used as it has relatively easy syntax. It is the best programming language for beginners. Also read: What applications do you develop with Python Programming? This programming language was developed in Bell Labs as a modern version of S language. In order to provide flexibility in producing statistical models, R language is combined with lexical scoping. Several GNU packages available in R language make it a really powerful language for machine learning. One can use R language to create useful algorithms and easy statistical visualization of those algorithms by using R studio. The industry has recently recognized the importance of R language even if it is popular with academic researchers since long. Also Read: Which one is preferable for Machine Learning? R or Python! Lisp is the best language for the programmers who want to learn about the history and facts about the craft and practices used in programming just for the sake of fun. Some consider it as a miraculous tool for programming whereas some are of the opinion that no language has ever been invented for machine learning like this. In fact, artificial intelligence was also used before the invention of programming languages like Scala, Python and Haskell etc. lisp is mostly loved by hackers. It is used more by compilers than interpreters as supports efficient and fast coding. It collects garbage as it includes automatic memory manager. It is one of the oldest languages that were developed for programming Artificial Intelligence. It is another primary language like Lisp that is used for artificial intelligence of the computer. The developers working on flexible frameworks enjoy working with the mechanism of this language. This directive and rule-based language contain rules and facts to dictate the coding language of artificial intelligence. It supports some of the basic mechanisms like tree-based data structuring, automatic backtracking and pattern matching etc, essentially required for programming artificial intelligence. While representing tree-based data structures this programming language has an inbuilt list to handle essential things. It can be used efficiently for prototyping artificial intelligence programs as fast as it releases modules frequently. It allows running the program simultaneously while creating a database. This is my list of top programming languages for practicing Machine Learning and artificial intelligence. If you think I’ve missed any important language that should be on the list, write in the comment section below. Just a small thing: Lisp will not collect garbage for you… “garbage collection” is the term used for collecting and reclaiming “memory leaks”. There are large misunderstanding of this since in other languages like Fortran and Cobol, you had just declares variables and uninitialised address space. Very simple, in these languages you can declare an “int I2 = 2;”. Now the I2 is placed somewhere in memory, and some other can make with full purpose assignments that change it – “memset(&i2,0,n);”.Its just that Cobol and Fortran did not have pointers, and values passed to routines not on the stack but as “parameter blocks” to save memory space. Within the context of one thread like a complete process, the values can be passed on a stack you increment every time you use it and “pop” off to reclaim and reuse the address space. Then the process needs copies of its data, and that is placed on a heap. You can make a heap pretty efficient, and it is these ways to manage the memory in blocks and chunks that is “Garbage Collection” – reclaim space that is no longer used. This is associated with overhead, surplus code is executed to manage memory. It is not rocket science to code “garbage collectors” – look at it as managing data so that this can be shared between objects / processes that run at the same time. They can be coded very efficiently because they can use data without making a local copy, and all share the same address space. When an object has terminated, the data it used should be released so others can use it. This is how it is done in Lisp and Prolog. We made a simple scheme to be able to detect that a object had terminate, and could release the data so new thread / objects / tokens that needed data could be provided. If you just allocate and do not detect that the space is no longer needed, you make a bigger demand for memory than what is needed and as you see in some system, your address space gets exhausted. It is an overhead but how long can you accept memory leakage?